Beware of what you may read in your email. The paragraph below is being passed around the internet with the statement that only great minds can read it (55 out of 100 people), and that spelling isn’t important because you can read any word if the letters are all included and the first and last letter are in the correct place. You will draw a disastrously mistaken conclusion if you infer that children can read this way, or that this has any relevance to learning to read. Here is the paragraph. See if you can read it! She was sitting alone on one of the church benches, watching some other five year olds play with the rocking horse. 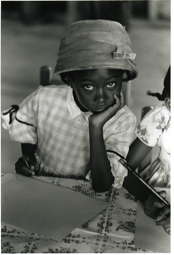 As co-founder and program director of the Child Development Group of Mississippi, I was visiting one of our many Head-Start projects stretched out across Mississippi that summer of ‘65. We had 5,000 children signed up in a frighteningly racist state. It was the very first Head-Start project in the country. I wondered why she was not joining in the play. As I sat down beside her, she smiled shyly, reaching over with curiosity to touch my blond hair. “What do you want to do here at Head-Start today?” I asked. She looked thoughtful for a moment, then her dark face lit up with a huge smile. “First, I’m gonna learn to read and write. Then I’m goin’ home to teach my daddy!” There it was, right in my face. The enormity of our task. The power and importance of literacy. 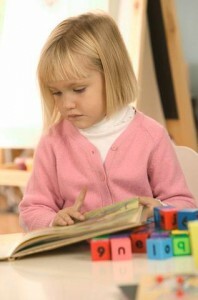 “Do you think it is important for children to learn that words are made of individual sounds? How do you teach this skill? Do you teach a specific sequence? Writing and reading are relative newcomers, answering a growing need to turn spoken communication into some kind of permanent record. For small tribes of hunters and gatherers, oral traditions and histories served well enough. But when people began to gather in larger numbers, and grow crops and trade, longer lasting records of spoken words became necessary. Spoken sounds could not be recorded; they drifted away into the air. What could be devised to stand more permanently for a contract between traders? Pictures and marks on clay worked for a while, but were limited in their usefulness because more and more pictures were needed to record bigger messages. This process was slow and cumbersome–a more efficient system was needed. One can imagine some Sumerian only a few thousand years ago pondering this problem, saying “Aha! I only make a limited number of sounds with my mouth when I speak. I’ll make a different mark to stand for each sound I make when I say a word!” And the alphabet was born! It has taken a very short time to progress from marks in clay, to ink on velum, to Gutenberg type on paper, to computer print-outs.